What pretty pink cocktails! 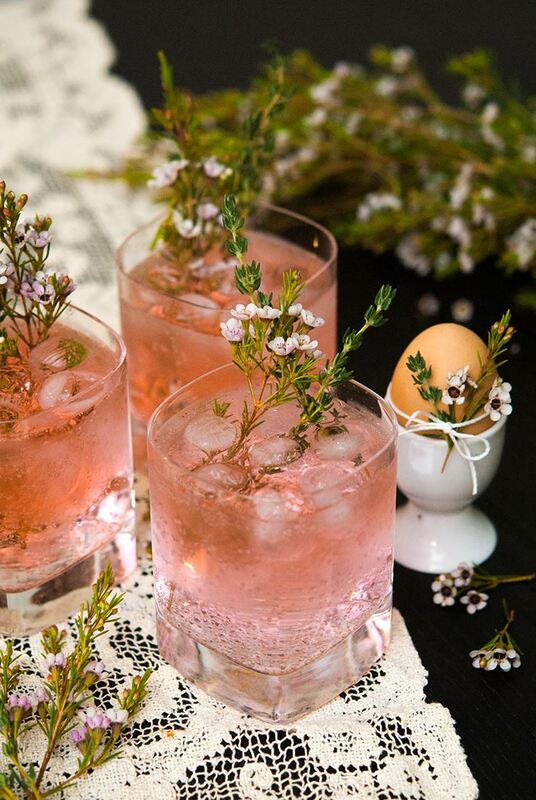 These gin and tonics are so feminine, so gently spiced, delicately herbal and lightly floral. They’re perfect for Easter, a baby shower, bridal shower or elegant brunch. 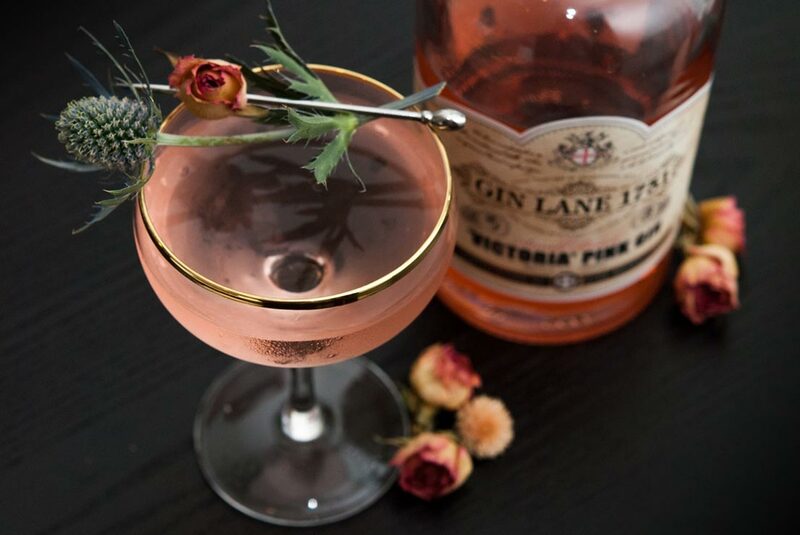 I’ve begun using Gin Lane 1751 exclusively for my gin cocktails. I find it doesn’t clash with any mixer or liqueur I add to it, whether dry or sweet. It makes such a striking martini or French Gimlet! 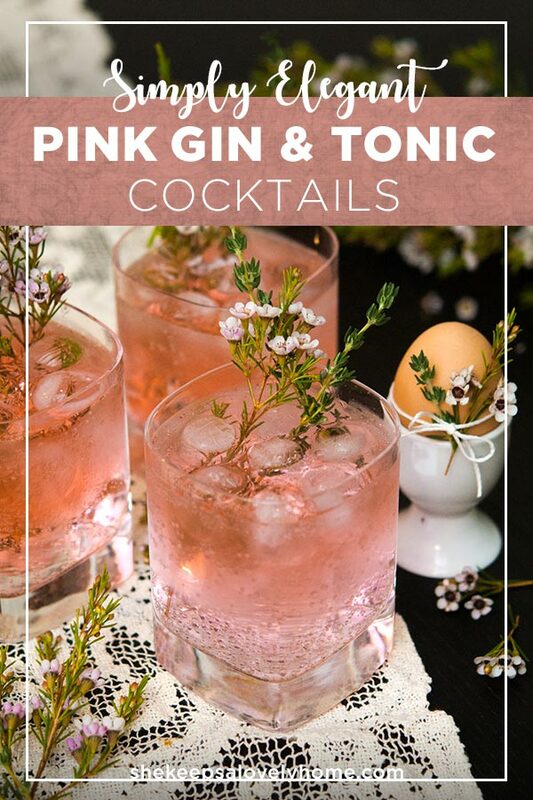 What Makes Pink Gin Pink? It’s all in the not-so-secret-ingredient: bitters. I used Gin Lane 1751 and they add an herbal, spiced bitters to the gin. The bitters is pink in color. Does it Taste Different Than a Regular Gin and Tonic? The difference is very subtle. Pink gin & tonics simply have a lovely, refreshingly floral note but they’re still juniper-forward, with a little bit of that herbal, spiced essence. 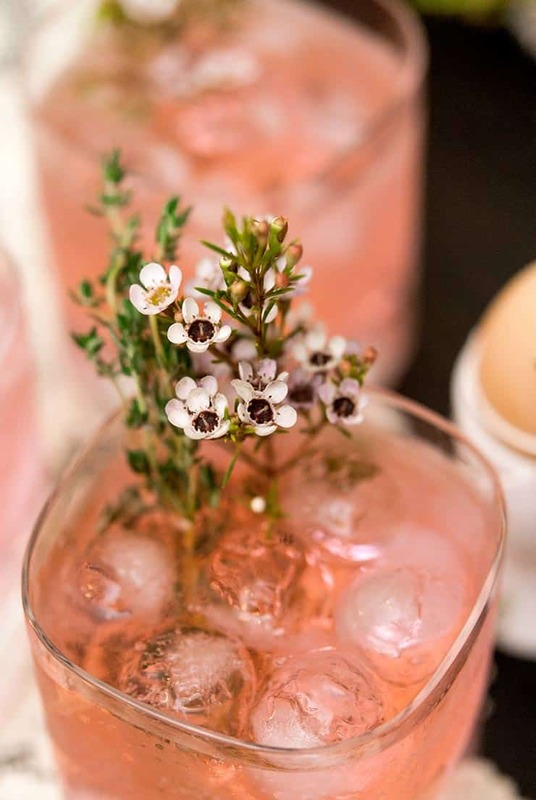 How Should I Garnish a Pink Gin and Tonic? There’s a little rule I learned years ago, “tonic and lime, all the time,” and it makes sense. Lime is a perfect complement to sour tonic. You can certainly add a wedge to your glass, or add a few thinly sliced limes to the drink itself with ice. 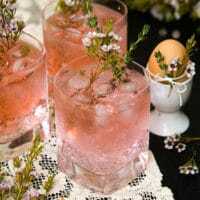 But if you want to make these pink gin and tonics more originally garnished, add herbs that compliment the herbal notes of the gin instead. I used fresh thyme to bring the herbal notes forward. 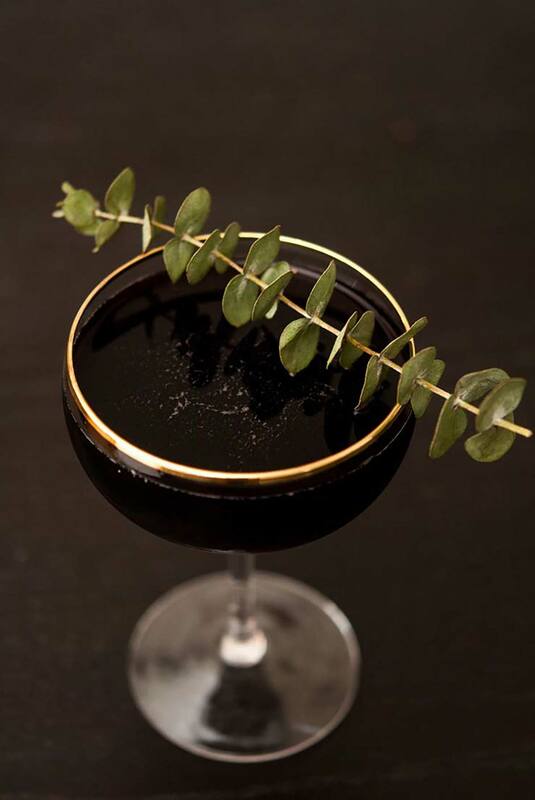 You could even use a little sprig of rosemary. These gin and tonics are so feminine, so gently spiced, delicately herbal and lightly floral. Add your pink gin and lime juice to a shaker with ice. Shake vigorously. Pour in tonic and stir. Pour cocktail with ice into a glass. You can garnish with lime, herbs and pretty flowers.